There remains a big fact that the consumers around the globe procuring the products online. In fact, online sales are seeing a growth of about 17-18 percent per year. As the procurement through ecommerce sites has been getting surged, it’s become a prior outlook for the online retailers to optimize their eBay template design in an efficient manner. In contrast, here I am uncovering some notable points that could help you out to optimize eBay store design template and make your products visible on searching. Being an ecommerce store retailer, putting Meta tags & description in your web page is an essential element to optimize your eBay store design & make your product’s description visible of the particular web page in search engines. In addition, it’s good to have relevant and eye-catching Meta tags & description to persuade the consumer to stop by on your site to shop. It has been a next big real fact that Google strongly focuses on quality content & effective keywords in order to get ranked in the organic search. Therefore, it’s the next best prior step to get the perfect volume of keywords accordingly. Once you got the right amount of effective keywords, another important step should be to put keywords in title & descriptions in order to get your professional eBay store design optimized. Plus, have the keywords in a sense that could work as a bridge between you & your targeted audience, thereby covert leads as much as possible. About us is one of the major web pages of your website which the user definitely visits to know whether the site is relevant to him or not. In order to optimize your professional eBay store design, you must have to put relevant keywords on your about us page with effective internal linking. Creating a no-brainer kind of eBay template design of your website enable users to navigate site with an ease & make them find out a desired product or services. In context to this, keep attractive offers, discounts, and quality content frequently to get your store promoted in well mannered. On the whole, the above-shared steps would definitely be helpful in the optimization of your eBay store and to make your product visible in searches. In addition, it’s quite good to deliver the personalized user experience to make user compatible for long. If you are thinking why to use professionally build eBay store instead any ordinary eBay store design? Then I must tell you that how professional designer will give your eBay store a professional look to attract potential buyers and increase traffic on your eBay store. The advantages of using eBay stores are many, right from easy setup, low cost, down to the brand recognition that eBay can offer once you have made up your mind about selling few items and have taken all decisions on them, the next step obviously is Custom eBay store designing. The design and appearance of your eBay store go a long way in attracting the customers to your own online store. 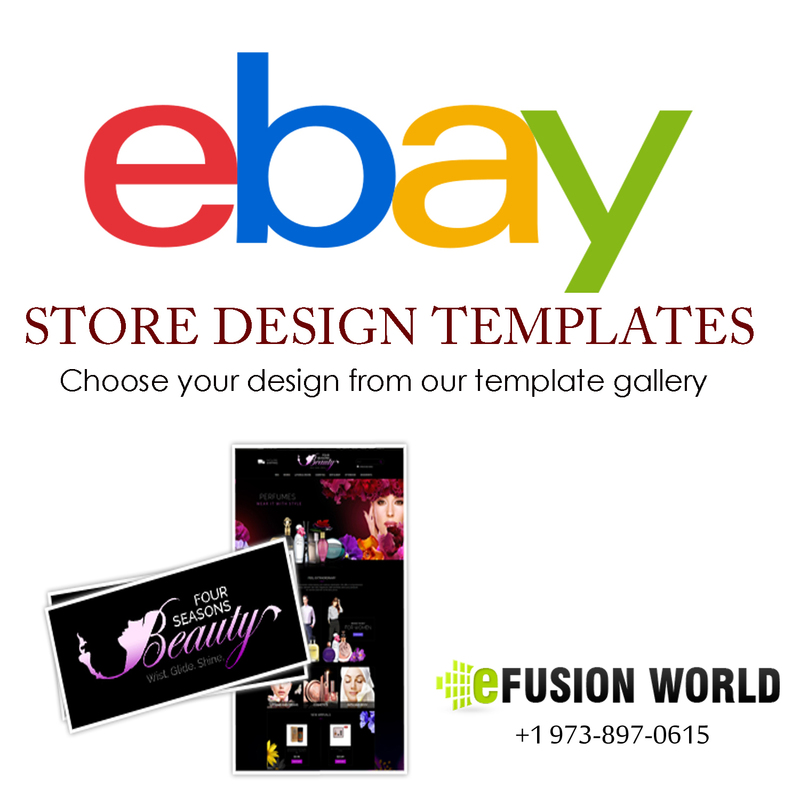 There are many eBay template designs available online that you can easily use and customize your store. This template offers many benefits that can’t be enjoyed with a simple eBay store. An alternative here is to hire professional eBay store designer to design your online store professionally to make it look more appealing. Only professionals can give your store a customizing look. You might be thinking how and what is customizing look? Then this is the time when I should discuss in detail with you. With a competent professional design store on your side you can customize the whole look and feel of your online eBay store. Only professional store designer can customize your store to fulfill the requirement of the customers. For example: you may be selling antiques on your store and you have also chosen a good template for the same but right placement of items, size of the image and further customization of your template is something you may not be able to pull off on your own, for that purpose one need to higher professional for successful designing for their web store. Templates also come with very standard elements like about page, my auction page, my store page etc but these are something also available at other 100 or even on other 1000 eBay stores. So, what can make your eBay store stand out in the crowd?